Lincoln Thompson stays in Key West, Mike Mongo goes to Jamaica. It is too early to begin thinking in retrospect. Still, it was 2007 when Lincoln Thompson and I began this journey together. 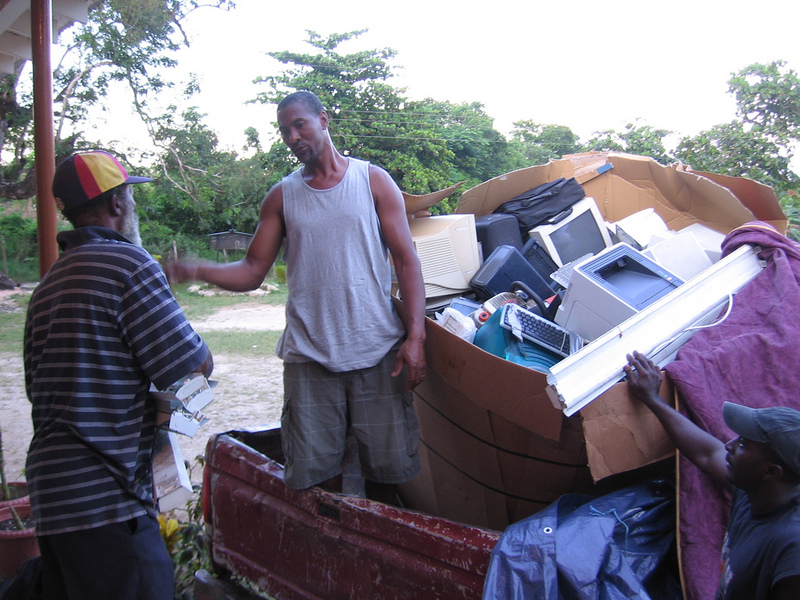 I am about to return to Jamaica for perhaps the 8th time—with the eighth shipping of palettes of computer workstations for Brampton Primary—and this time I go alone. Alone. Over the past four years, we have shipped out well over 200 computers, more like 400, to a school of 100 students. Old computer break fast with new computer users in rural jungle. Less than 50 remain working. (The others are good for parts or…worryingly…land-fill.) What with graduating students and incoming new students, we must constantly replenish. And hundreds of those computers have touched people’s lives. Each time, Lincoln has been with. This is the first time I used the “computer railroad” we created together on my own. Lincoln is the seasoned Jamaican, I am the new Jamamerican. It’s funny having a partnership like that. I’m the activist mover-and-shaker in the US. He’s the builder-crafter in Jamaica. It’s been some team. Together, we have met any obstacle. …but not the same? No, definitely not the same. Three weeks in JA on my own. Just me and all the hundreds of people I know like neighbors and family. Sigh. I pressed with what you are doing. If only this can be duplicated all over the island and to the Caribbean. I am looking into doing something similar. I am from the Parish of St. Catherine. I am keeping watch on your progress and please keep up the good work. We need to bring ALL of Jamaica and the Caribbean into the 21 century.